The fund’s interest in healthcare projects reflects its keenness to support international efforts aimed at achieving the UN’s Sustainable Development Goals, directly contributing to Goal Three – Good Health and Wellbeing, said an ADFD report, issued to mark World Health Day that annually falls on April 7. The fund views the health sector as one of its priorities given its significant impact on people’s lives. The sector is also the most efficient in elevating living standards and empowering citizens to actively participate in the development process. 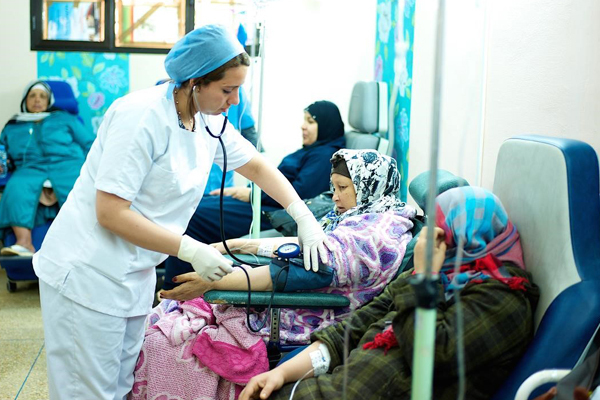 Since 1971, ADFD has launched comprehensive projects that enhance the social stability of the population and upgrade the level of healthcare available, especially in high-density regions. ADFD also has stepped-up its development efforts in supporting health programmes for women and children. To date, ADFD has backed 18 health programme in collaboration with local institutions and international organizations, successfully providing vital supplies of vaccines and drugs to eradicate infectious diseases. * Sheikh Zayed Hospital in Mauritania: To support Mauritania’s healthcare sector, ADFD funded Sheikh Zayed Hospital in Nouakchott Valley in 1995. Providing quality medical care in line with international standards, the 185-bed hospital that spans an area of 3,000 sq m has significantly improved the provision of health services in the country. * Queen Rania Hospital for children in Jordan: ADFD funded the Queen Rania Children's Hospital, which provides state-of-the-art medical and therapeutic services. As the first medical facility dedicated to children in the country, the hospital receives more than 200,000 patients per annum. * Cardiac centre in Bahrain: ADFD contributed AED550 million to the construction of the Mohammed bin Khalifa Specialist Cardiac Centre. It helps in diagnosis and treatment of heart diseases in the country and the wider region, featuring cutting-edge medical equipment and 148 beds, outpatient clinics, radiology, imaging, pharmacy, as well as physiotherapy and emergency departments. Spanning 44,000 sq m, the centre has significantly stepped-up up the capabilities of Bahrain's health sector. * Sheikh Zayed Hospital in Egypt: The 150-bed Sheikh Zayed Hospital in Egypt is one of the most important funded-projects in the health sector. ADFD’s financing provided the latest medical equipment and several medical units including dialysis, intensive care, blood bank, surgeries and other specialised clinics. * Healthcare projects in Turkmenistan: The Fund has developed a series of integrated health projects that aim to improve the quality of healthcare services in Turkmenistan. Notable projects include the establishment of a kidney disease centre, rehabilitation of existing clinics, as well as the construction of specialty hospitals offering 480 beds to treat complicated diseases reduce disabilities and mortality rates among the population. * Al Maarouf Hospital in Comoros: The project aims to provide specialised healthcare services to improve and elevate living standards in the Comoros. The project will include the rehabilitation of buildings at the Al-Maarouf Hospital, as well as the supply and installation of medical equipment for the operations, recovery and birth departments.